Consumers are being urged by a conservation charity to continue avoiding cod from the North Sea, despite an encouraging rise in stocks. 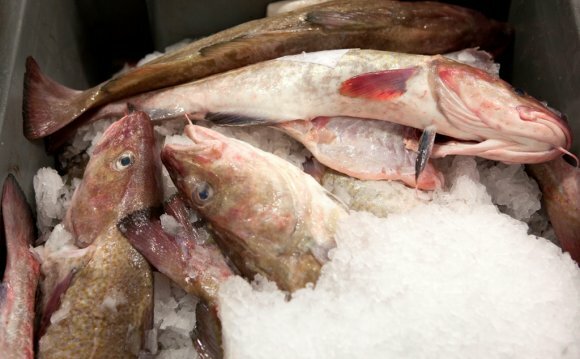 The Marine Conservation Society has decided not to change its advice on North Sea cod, saying that more stability is needed before it can be put back on the menu and eaten without guilt. The MCS points to the latest data from the International Council for the Exploration of the Sea, which shows North Sea cod stocks are only slightly above what are considered safe levels for the species, despite a decrease in the amount fished. The charity says it is still too soon for North Sea supplies to be back on our menus, and therefore it remains on its fish to avoid list. MCS fisheries officer, Bernadette Clarke, said: "The efforts of fishers and managers have placed cod in the North Sea on the road to recovery. Programmes such as the conservation credits scheme – which rewards fishermen for adopting conservation measures with additional days at sea – together with more effective long-term management plans will hopefully see the fishery continue to recover in the coming years. Our advice remains to seek alternatives to North Sea cod. There are more sustainable cod fisheries that we currently rate as fish to eat." Cod remains a firm favourite with consumers and the MCS urges shoppers to stick to cod from Marine Stewardship Council certified fisheries in the north-east Arctic, Iceland or eastern Baltic. Among species that have moved on to the fish to eat list – meaning they can be eaten in the knowledge that they are from sustainable stocks – are haddock and coley from Iceland and herring trawled in the Irish Sea. In recent years, sea bass has become a restaurant favourite, but because it is not classed as a commercial species it does not have a quota and is now being over-fished, the charity said. Trawled and gillnet-caught seabass are both rated five, the worst rating possible, while seabass caught by handline is now rated as a fish to eat occasionally. However, UK seabass – farmed in land-based tanks – is given the best rating on the fish to eat list. Monkfish remains a fish to eat occasionally. But the advice was challenged by the industry body Seafish, which said it was misguided and urged consumers to continue to buy North Sea cod. The Frozen at Sea Fillets Association (FASFA) is a trade organisation representing trawler owners and distributors of frozen at sea (FAS) filleted fish from Norway, Iceland, Faroe Islands, Spain, Russia and Greenland.